Turn heads with this snappy city look. 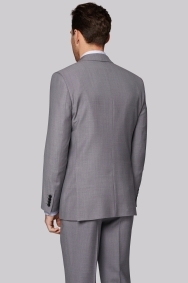 Make a lasting impression by opting for this elegant, silver grey suit from Moss 1851. 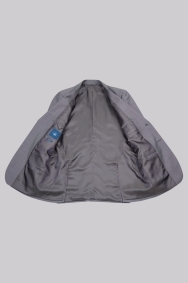 Offering a tailored fit that's designed to complement your physique, the single-breasted jacket is fully lined and comes with peak lapels for that extra touch of formal flair. Side vents are there to provide complete freedom of movement. Bring out the subtle pindot design of this pure wool suit by selecting a light-coloured shirt teamed with a rich burgundy or navy tie. Suit was too small, didn't seem like an average size 40 R fit. Material could have been a bit more sumptuous/ luxurious because although I paid £59 for my suit, the original price was £249. 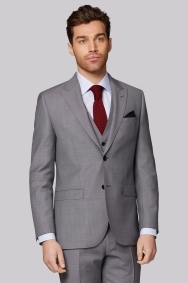 Great suit at a brilliant price. 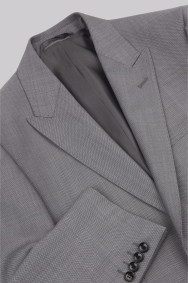 Great quality suit, fitted well. I'm quite a big guy, and they had plenty of sizes on stock with a with a quick turnaround as I was in a hurry!